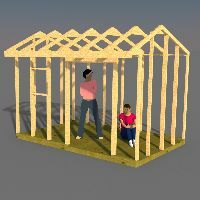 These 12x12 shed plans include 3d virtual reality views, building blueprints, construction guide, materials list, email support, and a fun time building your own very unique and awesome shed. 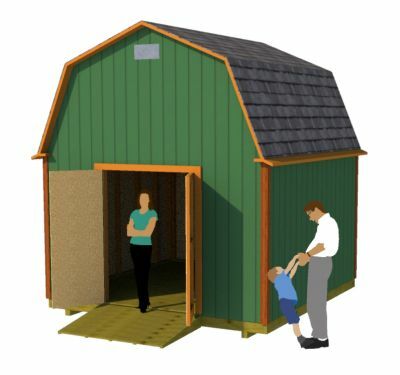 Here's a shed that you can build that offers a ton of storage space. 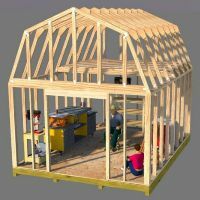 It has a gambrel style roof, huge loft, 5' wide double shed doors, all 2x4 construction, shed ramp, cedar trim, and nice large floor area for all your storage needs. 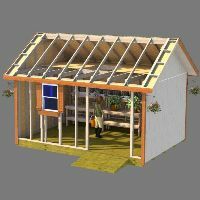 Learn more about this 12x12 shed plan. Purchase now for immediate download in .pdf format through paypal for $6.95. 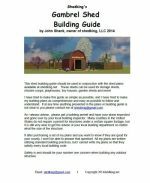 David, shown in the picture to the right, actually purchased the 12x12 barn shed plans and my 12x16 barn with porch plans, did a few modifications to the plans, and built this neat shed you see to the right. 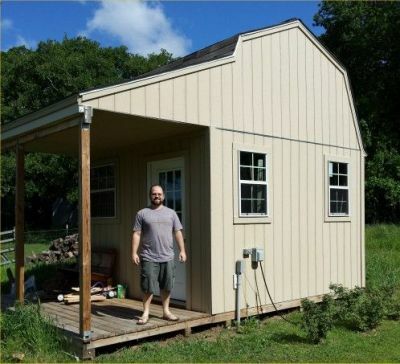 Read more about David's shed building journey.